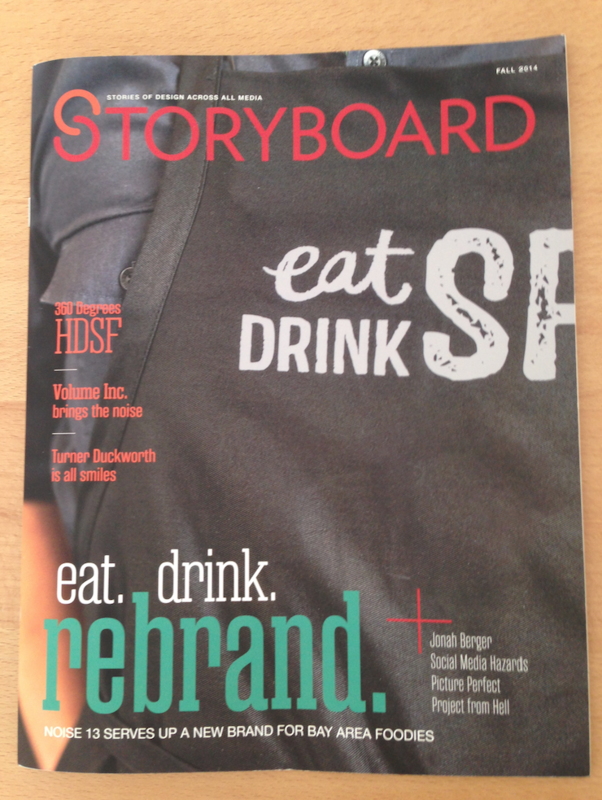 Maybe we didn’t get our picture on the cover of the Rollingstone, but being featured in the Fall 2014 issue of San Francisco-based design magazine Storyboard was pretty exciting for HDSF. The well-respected publication covered a snapshot of our work, history, team and space in their five-page 360 degrees section, giving readers a glimpse into what makes our company tick. 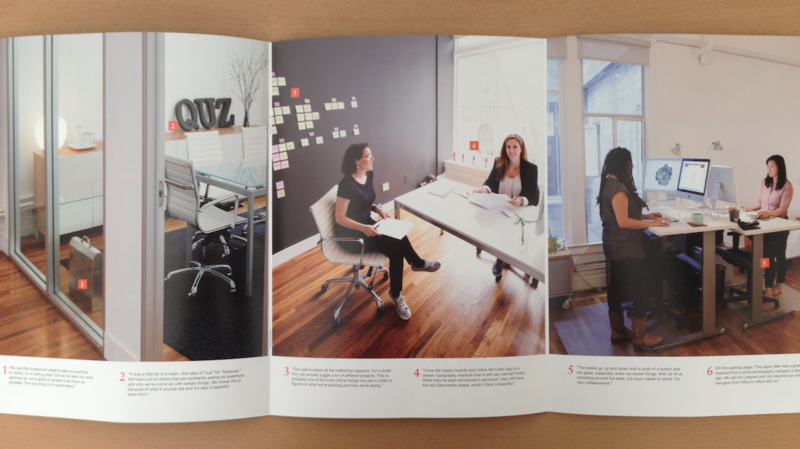 In addition to HDSF team photos, a centerfold opens to show pulled back images from our studio, with descriptors explaining the functions and features of our space. Another page displays tightly cropped images of the fun, decorative details employed to personalize our work environment. Finally, a few of our favorite projects are showcased on the Studio Portfolio page to offer a peek at a cross-section of completed print and digital concepts. 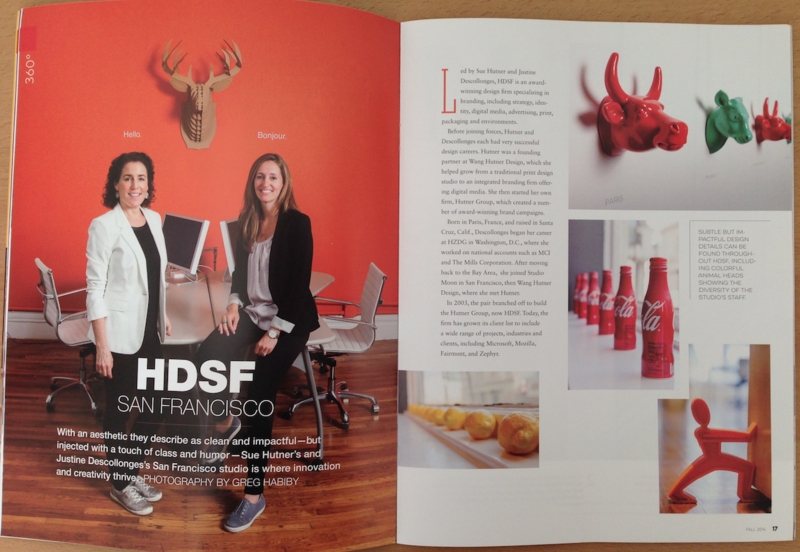 Many thanks to Storyboard for the article about HDSF!